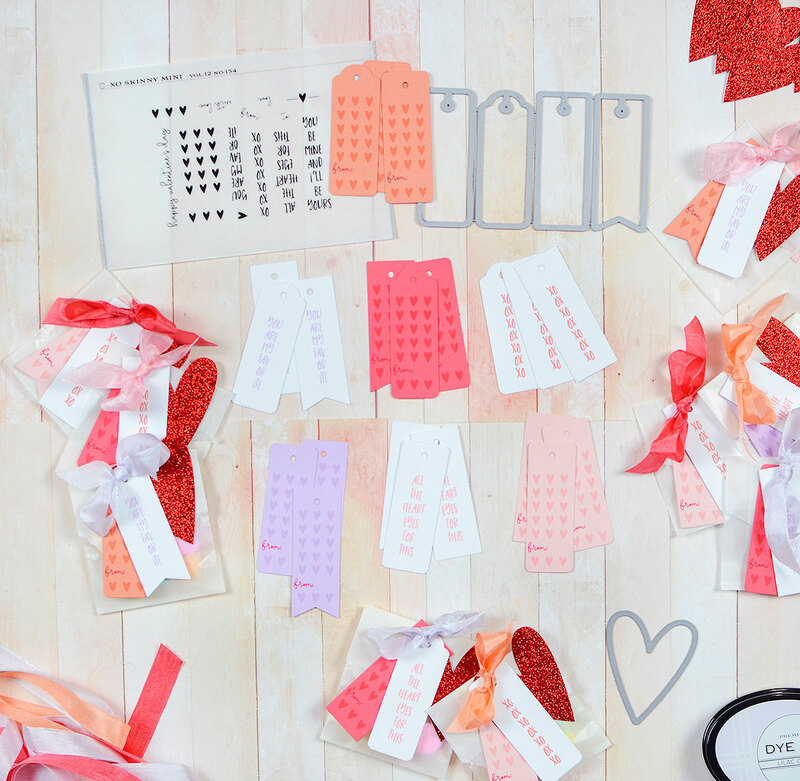 I’m featuring my XO Skinny Mini stamp set and Tags dies in a project that can easily be mass-produced. I don’t think I’ve ever done a mass-produced project here before, either, so it’s a day of firsts all around. 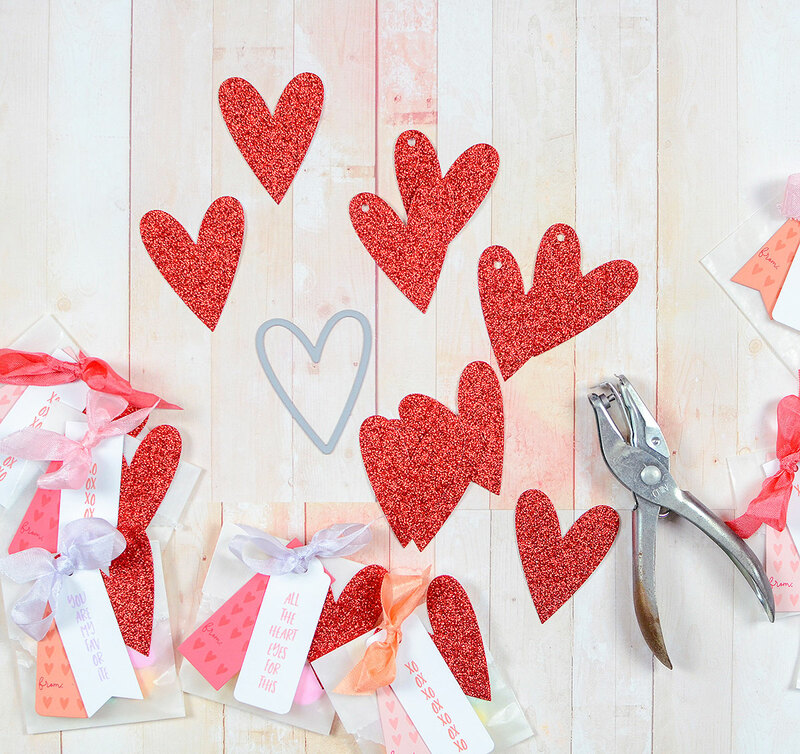 This year I have a second grader and a kindergartner and you may find it hard to believe, but I’m the mom who waits until the last possible minute for class valentines and makes a mad dash to the store 2 days before the party with the hope there will be something good left. There never is. Considering my line of work, you’d think my kids would have decent treats to pass out to their class. They don’t. Until this year. I’m starting early! 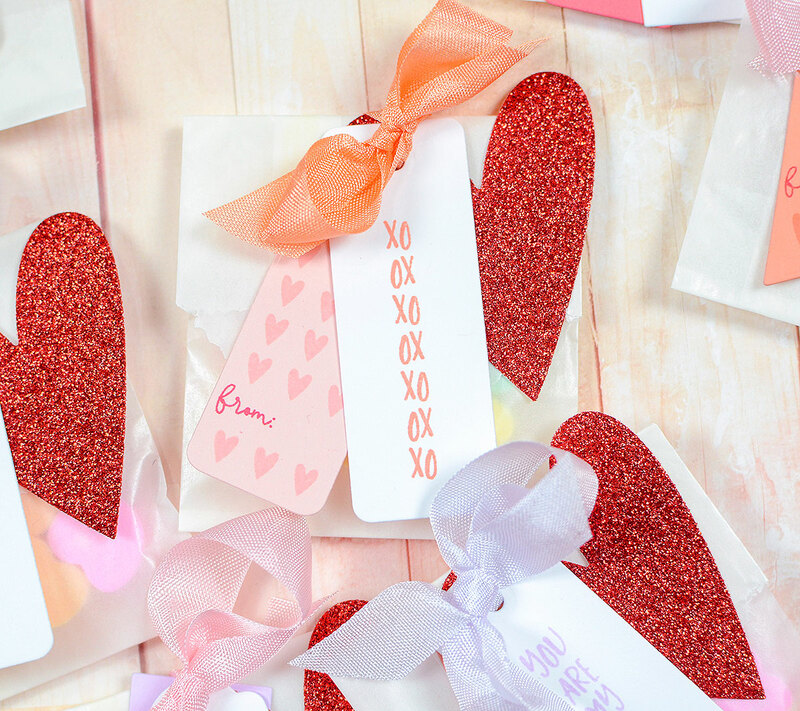 This year, I gathered my favorite Valentine-inspired shades of cardstock–Melon Berry, Sweet Blush, Lilac Grace, Berry Sorbet, and white–along with matching inks, the XO Skinny Mini tags and stamps, and these small glassine bags, found in the PTI store. Oh, and I mustn’t forget the treats–conversation hearts, chosen by my 5 year old daughter for her classmates. I left the tag dies wired together to make quick work of cutting them out. This way, I can cut 4 at a time with minimal effort. I’m using a colored tag and a white tag on each bag so that’s roughly 50 tags to cut out for the class. 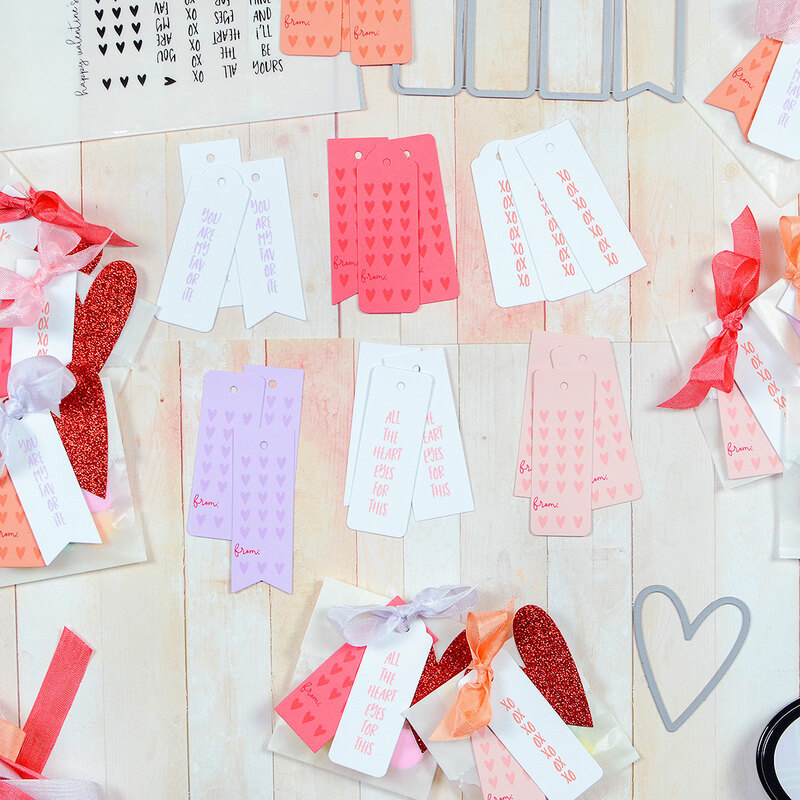 With the dies still connected to each other, it’s hassle-free and much faster than cutting one tag by itself, or carefully arranging the 4 tag dies every time. I then chose an XO Skinny Mini phrase to stamp on the white tags. 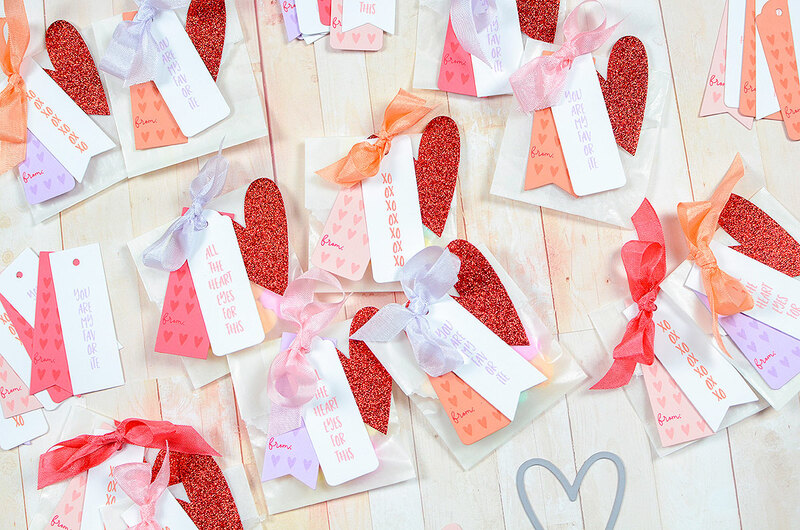 Being that these are for kindergarteners, I stuck with “You are my favorite,” “All the heart eyes for this,” and the “XOs.” I chose one ink color for each message to keep it quick and simple. 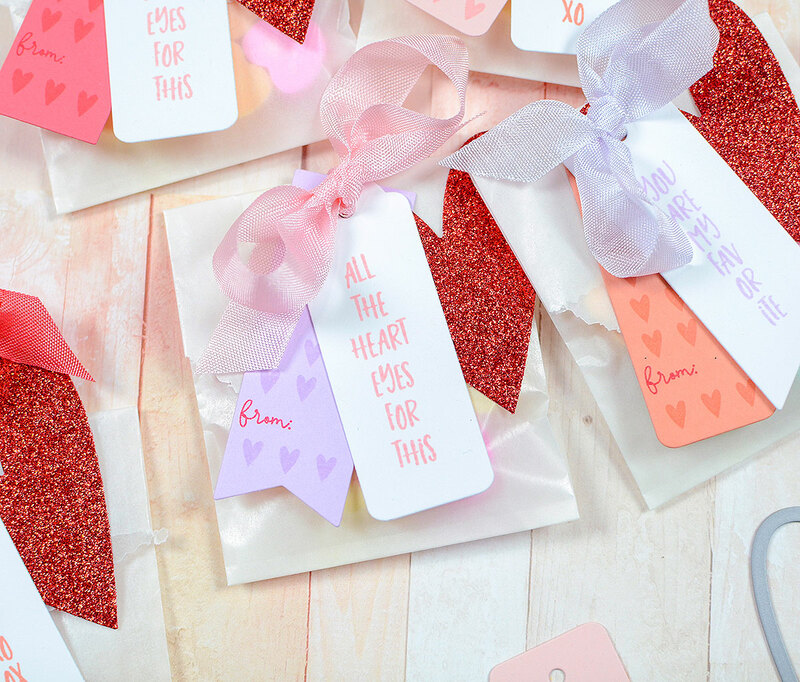 If you want to make just a handful of these, try embossing the sentiments to kick the project up a notch. 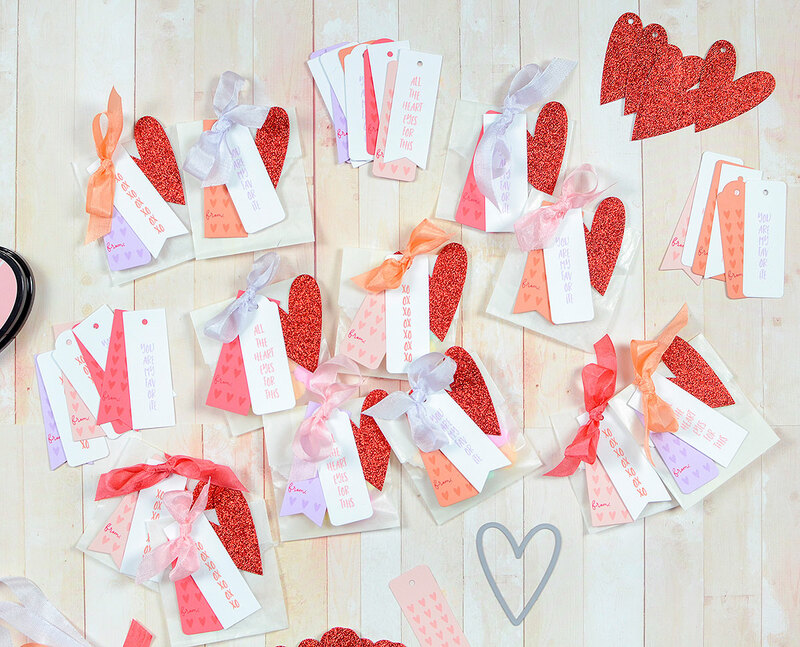 After stamping the sentiments, I used the rows of hearts on the colored tags with matching inks. The only stray is that I used Pale Peony on the Sweet Blush tags instead of the same ink color; I just wanted something a bit darker. With Pure Poppy ink, I stamped “from:” in the empty line. It comes in the same set and is sized just right to fit in that small space. If Nemy has trouble writing her name there, I’ll help her out. 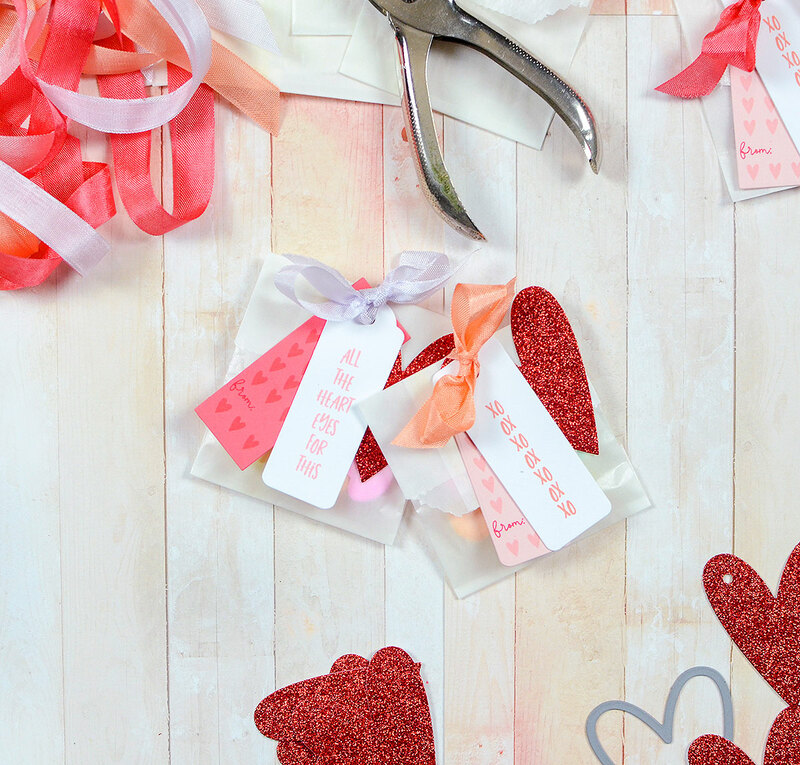 For an accent, I cut out some hearts from red glitter paper with the From the Heart dies. The heart I used was the second smallest and it ended up being just right for these bags. 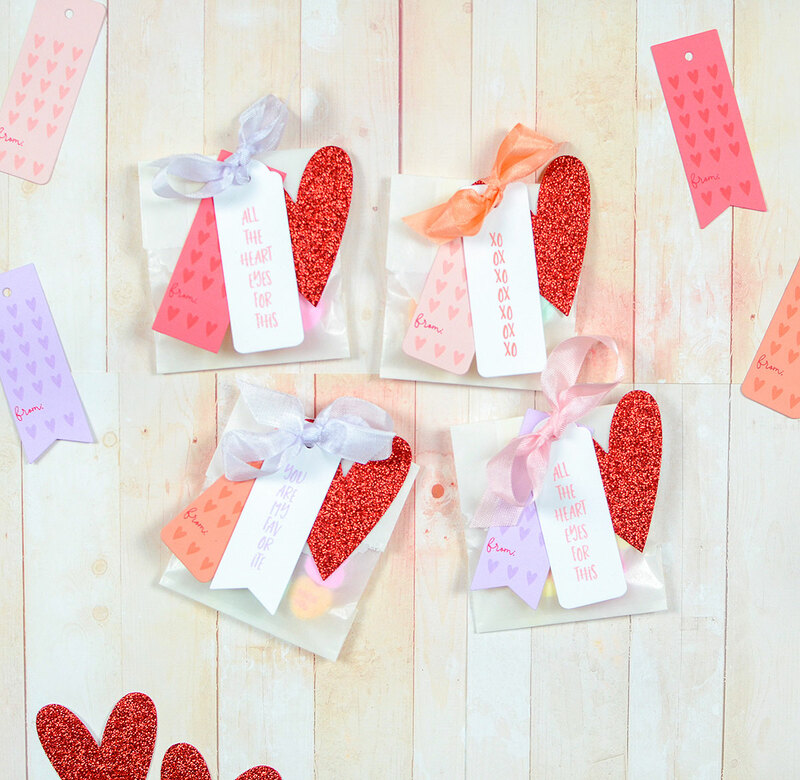 I designed this set of hearts to be used for anything–on cards or tags. I will probably use them as tags more often than not, but I wanted them to be more versatile than simply a set of heart tags, which is why I didn’t include a hole in them. It’s easy enough to add one wherever you want to–if you want to–with a hole punch. 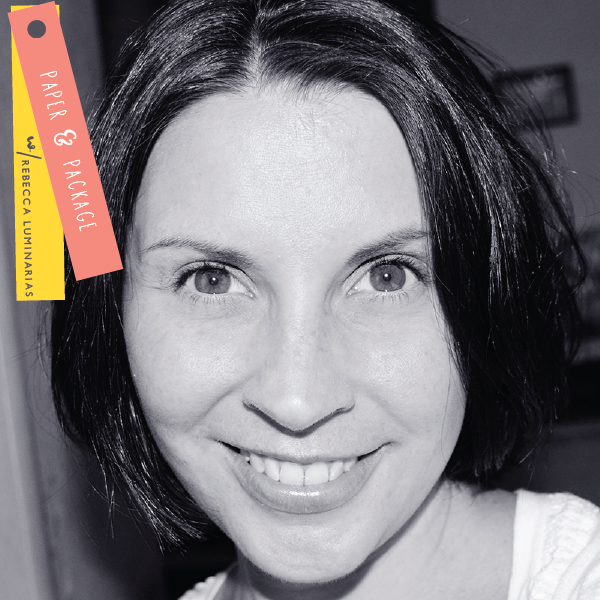 A quick word about the bags–for just $2 you get a package of 25 of them! That’s a great deal! 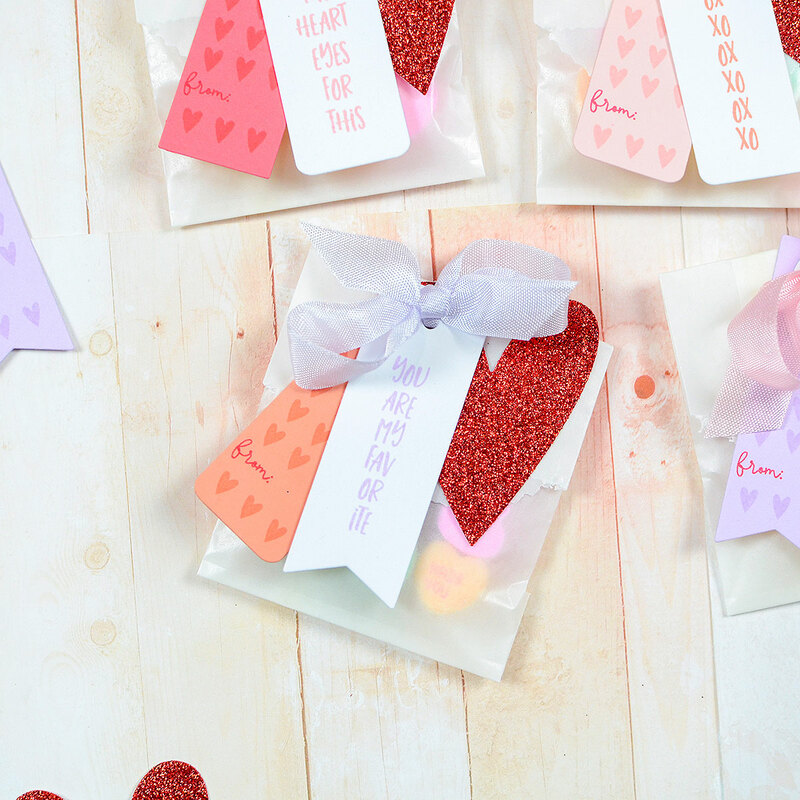 These are the smallest size, which is 2.75″ x 4.25″ and they’re perfect for little candies like the conversation hearts I used. 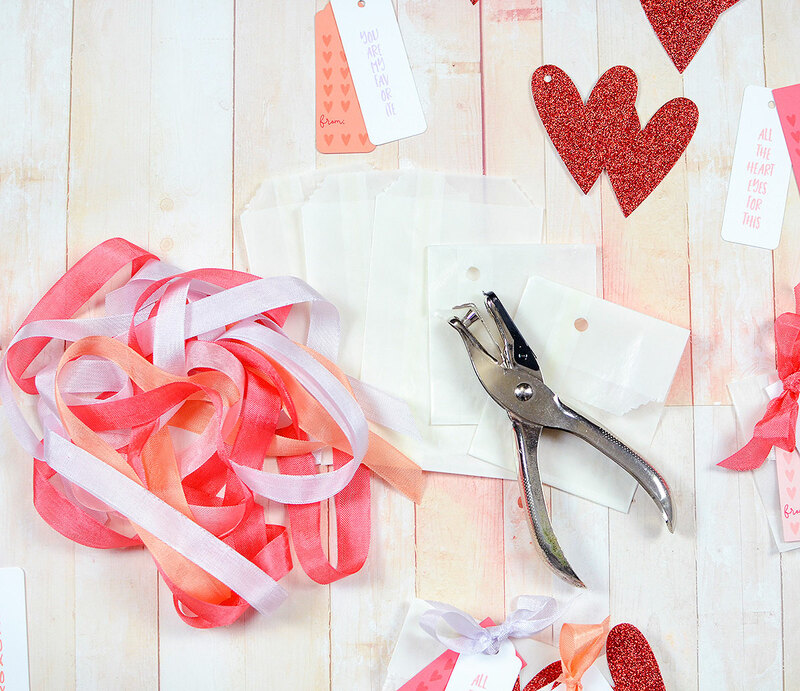 Choosing soft, malleable seam binding in similar shades to match the tags (Orchid – Lilac Grace, Melon – Berry Sorbet, Baby Pink – Sweet Blush, Peach – Melon Berry), I looped the ribbon through the hole, then the tags and heart, and tied it in a bow to finish. These were fun to make and it makes me feel good that I’m not putting them off until the last minute this year. There’s nothing wrong at all with store-bought Valentines; I’m just tired of forgetting to buy them until it’s too late! This year, we’ll be ready! I wish I was in one of your kid’s classes–haha! These are just adorable! 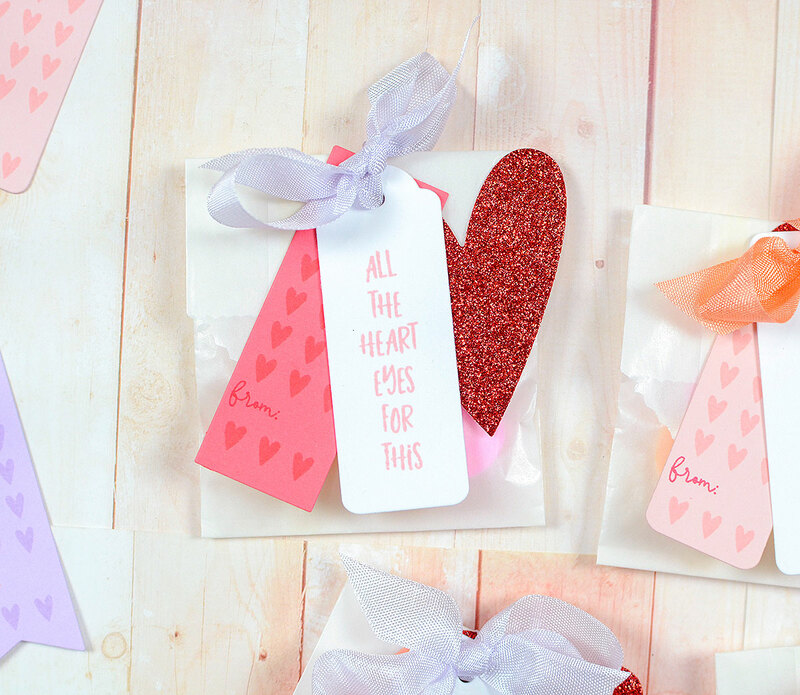 Love using 2 skinny tags & the glitter heart for each bag–perfect! Oh my! 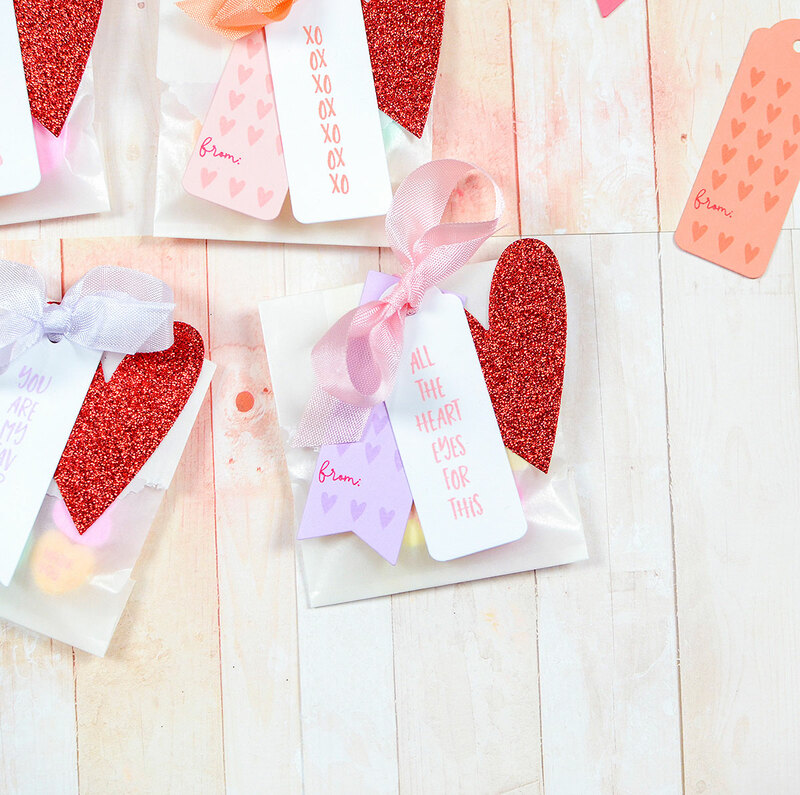 You are going WOW the kids with these beautiful treat bags! Super cute! Love the red glitter heart. Oh these are perfect! 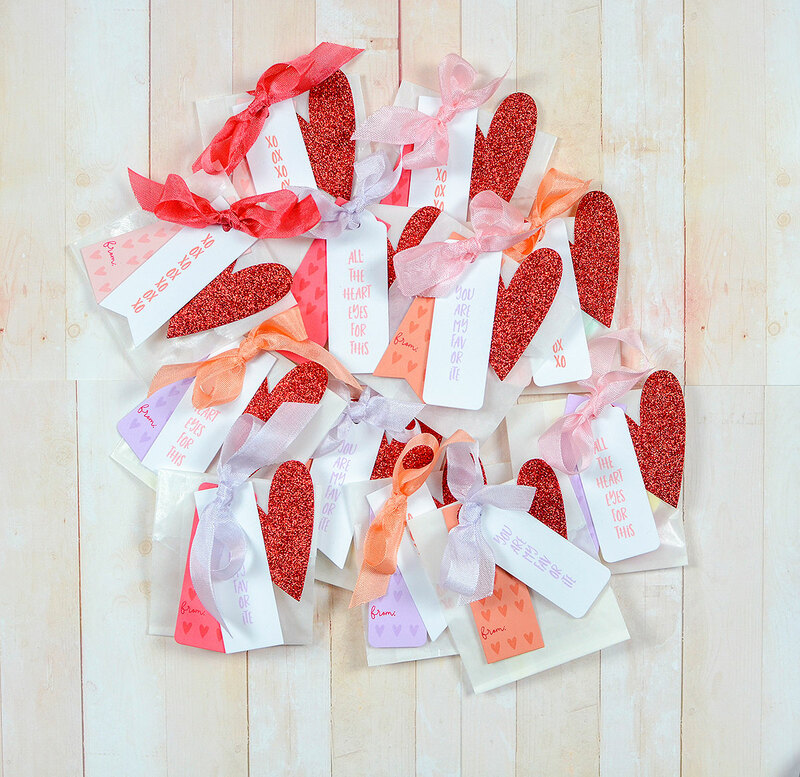 What sweet packages for the kiddos! Great colors with the lavender added in as well.